Dont Forget The Extras! : Required Add Table Top Torch $5.00 Extra Add 5 Long Filler Mystery Sticks$10.00 Extra Add Extra Sticks and the Lighter $15.00 Extra Just Send Me the Sticks! One of the best cigars recently smoked. Better yet is the GREAT and FRIENDLY service you received from Cigar Bundles. Can't be beat! This cigar looks almost too beautiful to smoke, but after lighting it is way to tasty to sit around admiring the look! As with all of the CBM blends, this is an impeccably constructed cigar. 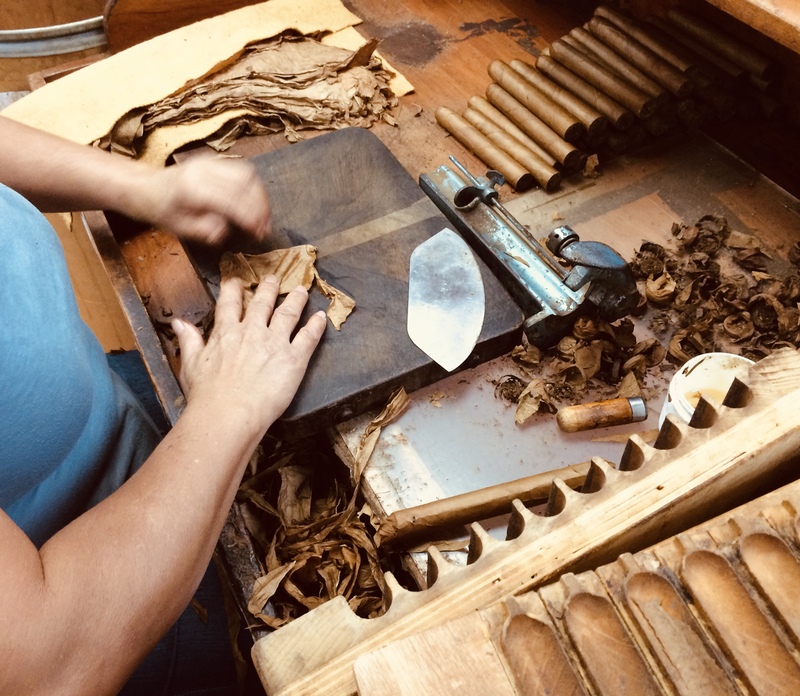 They aren't kidding when they say they have the best cigar rollers in the business. This Tampa blend is a not-too heavy smoke with a really nice peppery "bite" but without being overwhelming. I also got some of the Miami blend barber poles and these are nice complement to the smooth sweet flavor of that blend. Alex and Jackie have a blend that satisfies whatever I'm in the mood for. It makes me happy to be able to get great cigars that I love from this shop rather than one of the big corporate on-line cigar giants. A great smoke from great people.